1771-1829. He was born on 14 June 1771 on Jersey in the Channel Islands, the son of Thomas Pipon the attorney-general for the island, and of his wife, Jeanne Pipon, from St. Aubin. After an education in Reading Pipon first went to sea in 1787 aboard the Narcissus 20 commanded by his fellow Channel Islander, Captain Philippe d’Auvergne, and he remained with that officer until 1790 when he joined the frigate Diana 28, Captain Thomas Macnamara Russell, going out to the West Indies. During 1792 he was employed as an emissary in the release from imprisonment in Haiti of Lieutenant John Perkins after that officer had been arrested by the French for allegedly supplying arms to the natives. Upon returning home Pipon saw further service in the Channel and the Mediterranean aboard the Orestes 18 and Amiable 32, both commanded by Captain Sir Harry Burrard. 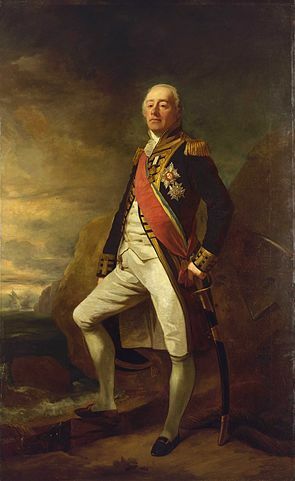 After seeing action in the Corsican campaign he was commissioned lieutenant on 8 October 1794 and joined the French-built Sincere 16, Commander William Shield, before further employment under the teenage Captain Henry Hotham in the Mediterranean from 1795 aboard the Egmont 74, Dido 28 and Blanche 32. In 1798 Pipon became the first lieutenant of the Fisgard 38, Captain Thomas Byam Martin, and on 20 August 1801 led the boats of this vessel, together with those of the Diamond 38, Captain Edward Griffith, and the Boadicea 38, Captain Charles Rowley, in an attack upon shipping in Corunna. Braving the fire of the enemy batteries and sentinels, the raiding party managed to cut out the brand new Spanish sloop Neptuno 20, together with a gunboat and a merchant vessel. Captain Pipon often saw duty under his fellow Channel Islander, Admiral Lord de Saumarez. Pipon was promoted commander on 29 April 1802 as a reward for his gallantry at Corunna and was placed in command of the sloop Kite 16, operating out of Leith that year, and from Sheerness in 1803, where from 13-15 September he joined Rear-Admiral Sir James Saumarez’ action against the French invasion flotilla at Granville. In the early spring of 1806 he moved to the Rose 16, being employed in convoy duty in the Mediterranean, and then returning to Plymouth with despatches from Constantinople and Gibraltar in December before seeing duty in the Channel, and later the North Sea. He subsequently had a brief spell in acting command of the Prince of Wales 98, flagship to Vice-Admiral Sir James Saumarez in the Channel, under whose orders he next took the Rose to the Baltic. On this station he commanded the Trafalgar prize Implacable 74, formerly the French Duguay-Trouin, in an acting capacity for Captain Thomas Byam Martin from 2 September to 13 October 1808. On 17 September he was posted captain of the Daphne 22, which was mainly employed in the Channel Islands and the Baltic for the next five years, but in which he also escorted troops out to Portugal in February 1811. After returning from the Baltic in November 1812 he left the Daphne in the following March. In September 1813 Pipon was appointed to the new Tagus 38 at Falmouth with orders to convey the trade to South America. On 5 January 1814, whilst escorting a convoy with the Niger 38, Captain Peter Rainier, they fell in with the French frigate Cérès 40 off the Cape Verde Islands, taking her early the next morning without a casualty on any of the three vessels. Later in the year, having received further orders to round Cape Horn and protect the southern whaling fleet, Pipon was at Valparaiso when Captain James Hillyar’s Phoebe 36 came in following her capture of the Essex 32 on 28 March. Thereafter being in company with the Briton 38, Captain Thomas Staines, the Tagus escorted the two frigates to the Juan Fernandez Islands and visited Peru and the Galapagos Islands before discovering the Pitcairn Island community spawned by the mutiny of the Bounty twenty-five years earlier on 28 April 1789. Pipon left the Tagus in 1815. From 1824-7 he was flag captain aboard the Britannia 120 to Admiral Lord Saumarez, the commander-in-chief at Plymouth. Pipon died after a week-long illness on 7 December 1829 at his residence on Jersey and was buried at St. Brelade. In 1802 he married Elizabeth Dumaresq, the daughter of Sir John Dumaresq, with whom he had two sons. In his youth Pipon suffered from a stammer which was eventually cured through the attention and direction of Captain Thomas Macnamara Russell.